Car collisions involving pedestrians can be devastating and emotionally distressing for both the victim and driver. 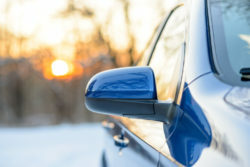 Most people mistakenly believe that the fault lies with the driver in these types of situations, but sometimes the pedestrian can be held liable for losses associated with the accident. Drivers have a responsibility to act with reasonable care while behind the wheel. There are various places on roadways that are designated pedestrian walkways. These areas require additional caution, and the driver should always remain alert to the possibility of the sudden appearance of a pedestrian. Most often, the speed limit is reduced in these areas. There are typically posted signs, painted roadways and stop signs or red lights. When an accident occurs involving a pedestrian, the driver will be found to be liable when they have broken traffic laws or acted negligently in a pedestrian area. Accidents involving pedestrians may result in severe injuries. If the pedestrian decides to pursue a personal injury claim against the driver, then they may be held financially responsible for the victim’s losses. It makes sense for the driver to be held liable in most situations, but not all accidents have a clear-cut guilty party. If the pedestrian was walking at night or jaywalking, then a driver going the speed limit may not be able to avoid a crash. In other circumstances, a car may make impact with another vehicle in an attempt to avoid a reckless pedestrian. In this scenario, the pedestrian may be found at fault for the crash. Unexpected collisions can happen to even the most cautious and vigilant of drivers. If you’ve been involved in an accident involving a pedestrian, then there are steps you can take to help prove your losses and claims in court.